For many people, environmental activism means fighting to save the whales or to preserve a national forest from logging interests. Robin Cannon defines the environment as “not just land, air, and water—but your social and economic space too.” A long-time advocate for environmental justice, she has helped improve the social and physical environment in her own South Central Los Angeles community, and other similar communities around the country. In 1985, while working full time at Los Angeles City Hall as a data processing technician, Robin organized Concerned Citizens of South Central Los Angeles to protest the building of a 65-acre, $565 million municipal “trash conversion” plant. A mother of four, Robin was concerned that the plant would contribute to her children’s asthma. Her careful research helped reveal that the “energy converter” was in fact an incinerator, which would release massive amounts of toxins into the local air. Concerned Citizens convinced the Los Angeles City Council not only to abandon the plant, but also to adopt the recycling plan they advocated. As the president of Concerned Citizens, Robin initiates neighborhood projects that combine cleaning up and protecting the South Central Los Angeles environment with providing skills and job training for the community. Robin organized a graffiti clean-up task force, an oil recycling project, and a computer training center. One project connects the youth of South Central to jobs and opportunities in the entertainment industry, from which, Robin points out, they are often excluded. A community donor, Jeffrey Katzenberg, provided the first year of funding for an internship program in which participating junior high and high school students learn about job opportunities (from make-up artist to agent) in the movie-making business. In 1989, Robin brought together a coalition, Communities for Accountable Reinvestment (CAR), to prevent the Bank of America from pulling its branches out of South Central Los Angeles. Using the same careful examination of relevant facts and figures that won the trash incinerator fight, CAR proved that the Bank of America was not losing money in South Central as it had claimed, and that it had provided only three home loans and no small business loans in the area. 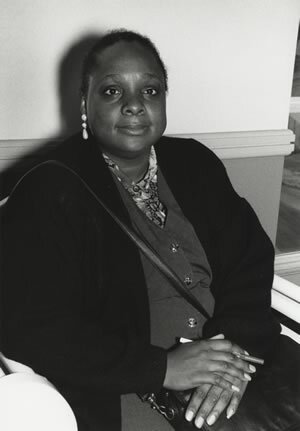 In 1992, Robin became co-chair of the Southwest Network for Environmental and Economic Justice, a new organization that links environmental advocacy groups in eight states with Native American Nations to concentrate their collective efforts on issues that have an impact on communities of color. “When we first got together,” Robin says, “we tried to find trends or common issues that we were all dealing with, and, surprisingly, the Environmental Protection Agency (EPA) was first on the list.” They launched an EPA Accountability Campaign with major demonstrations in Houston and San Francisco. This campaign persuaded the EPA to inspect neglected neighborhoods and address their environmental hazards. The Southwest Network also found that when communities were contaminated by hazardous materials, the more affluent white neighborhoods were often evacuated faster than the low-income neighborhoods and were compensated more completely for losses. In 1994, after the Southwest Network and other environmental justice organizations presented their findings to the federal government, President Clinton signed an executive order specifically addressing environmental justice issues. Robin Cannon’s enormous energy allows her to maintain her full-time paid position as a data processor while raising four children, leading Concerned Citizens, and until 1996, co-chairing The Southwest Network, as well as actively participating on the boards of several organizations outside of her immediate community. She has helped establish the Community Scholars program, which connects UCLA graduate students to inner-city community organizations, and challenged the city government and the Los Angeles Convention Bureau to spread the benefit of tourism revenue more equitably throughout the city. Bus tours for foreign tourists now stop at the African Marketplace, Korea Town, and the murals in East Los Angeles-areas whose businesses rarely had benefited from tourist dollars in the past.